(While I was in Auroville I flipped through some books by Aurobindo and Mother and about them and in every book (I read excerpts from three) almost immediatly I ran into them saying they had to silence or isloate someone for their ideas, then their followers would just say "oh yessss master, silence those bad opinions" and it irked me). We reached Pondicherry at 9:30 pm. An auto ride got us to the Aurobindo Ashram where we pleaded for two rooms. We got them in the New Guest House of the ashram. Every room in the guesthouse has a name like Dignity, Freedom, and Integrity. My room's name was Miracle. Providence?...We checked out of the guesthouse at nine and boarded a bus tour run by the tourism department. In what still remains of its French connection, there is a uniqueness that makes it different. As a fellow French traveler on the tour bus informed me, "It is different here, outside it is India again, but here it is different." What I believe instead, is that this also, is India and there in lies her beauty. The tour began at the Aurobindo Ashram, which houses the samadhi of Sri Aurobindo and the Mother. This was followed by a visit to the Manakula Vinayakar temple, which has about 45 forms of Ganesha worshipped in and around India. Then it was onto the Pondicherry Museum, which had sections on archaeology, which displayed remains of Roman amphorae and coins excavated from Arikamedu. The last attraction of the tour was a trip to Auroville. As the Auroville charter says, "Auroville wants to be a universal town where men and women of all countries are able to live in peace and progressive harmony above all creeds, all politics and all nationalities. The purpose of Auroville is to realize human unity." On 28 February 1968, some 5,000 people assembled near the banyan tree at the center of the future township for an inauguration ceremony attended by representatives of 124 nations, including all the States of India. The representatives brought with them some soil from their homeland, to be mixed in a white marble-clad, lotus-shaped urn, now sited at the focal point of an amphitheatre. We visitd a paper factory (operated by the ashram) where they make fine handmade papers, photo albums, stationary, scrapbooks, etc. It was fascinating to watch the men carefully measuring, cutting and stacking the paper or the women hanging the freshly dyed sheets on clotheslines to dry. We’ve had a few opportunities in India to see things behind handmade, the blockprinted fabrics in Jodhpur, the miniature paintings in Udaipur, tailors across the country…it’s a nice feeling to know that our souvenirs we’re made by someone and not something. After the paper factory, we visited the ashram. We don’t really know much about the workings of the ashram, but we saw the tomb of Sri Aurobindo and a mix of westerners and Indians who came to meditate there. Our second day in Pondicherry, we rented bikes to ride out to the beach. Going for a bike ride in India is like going to the dentist, I swore (heavily) that I will never do it again. Once we got out of the city, my blood pressure dropped to near normal and we reached the beach. We actually reached the Auroville beach. Auroville is an international community. It’s a project that was conceived by the Mother where people from all of the countries of the world can live equally. They have specialized projects within the community, dealing with substainable agriculture, solar energy and water conservation; they also sell handicrafts and work with local villages. Pondicherry- Oh la la la!! We arrived into Pondicherry later on that afternoon suprisingly refreshed. Both taken back by the contrasting scenery of the rest of India and Pondicherry. Its as almost if we have crossed the border into another country. No more polluted India, with lots of people, cars, temples, squalor, and vibrant colours. Up until 50 years ago Pondicherry was still ruled by France, which explains how different the state is. It is a very serene, chilled out state. Full of long windy tree lined streets. Lots of pastel coloured French villas litter the roads. Plenty of French eateries and bakeries. The French language is still practised by many of the locals and expats that live here too. However, dont be fooled like us into thinking that Pondi has no trace of the Indian way of life. If you cross the canal you enter the Indian area of Pondi which brings us back to what we are used to, frenetic, bustling, busy India. The town is dominated by a huge promenade which stretches the whole length of the town and beyond. The promenade is defintely popular with the locals who power walk and conduct their exercises before sunrise. At sunset people walk down the promenade enjoying their candy floss bought from one of the many whallahs. You cannot actually take a dip in the ocean in Pondi as there is no beach, but few miles down the coast you can splash to your hearts content in neighbouring Auroville. We were lucky enough, (or not as I later discovered), to get acomnodation in Park Guest House which is owned by Sri Aurobindo Ashram.The ashram was founded by Sri Aurobindo and later run by the Mother. The huge guest house dominates the end of the promenade. It is right on the waters edge, set amongst a tropical garden which people use to practise their yoga and meditation. We checked into their last room, a bargain at two pounds. As with all ashrams there are rules to abide and respect, mainly no drinking alcohol, no smoking, no drugs and a 10.30pm curfew. The last rule was easy enough as everything closes down at 9pm. Pictures of Mother and Aurobindo are littered throughout the grounds, even above our beds two ominous looking figures towered above us. The ashram cooks up some tasty snacks and brekkie in their restaurant which over looks the ocean. Such a nice location to sip your morning coffee.The guest house attracts a hotch potch of clientele, from the tree huggers all dressed in white, to families on holiday. At the crack of dawn you will hear the faint rustling of the ashram workers starting their daily chores. Hot water is only provided between certain hours, usually in huge iron buckets, so distributing the buckets is usually the workers first task. After nosh we hired two rickety bikes and took off to explore. We visited the Botanical Gardens which is reputedly Pondis only area of greenery. Very pleasant walk around the gardens. We wandered some of the leafy streets. Typically confusing with road names such as Rue De la Marine on one end, and named a completely different French name at the other end. We did go to the ashram which was full of people queuing to get into the grounds. We were ushered barefooted into the ashram garden where Mother's tomb and Aurobindo's tomb was placed. Lots of people were meditating and praying in the gardens. Some people clinging onto the tomb, muttering words of prayer. The experence didnt enlighten our soul but it certainly was an oasis of calm within the ashram walls. And we musnt forget to mention the valuable work the ashram does for the community. On day two we headed out down the coast to explore more of the area. I think its the closest we have got to Indian life as we cycled through villages and towns. Most of the locals survive from the sea, so we passed lots of fishermen bringing in their daily catch and repairing their nets. Back on the bikes in the afternoon to explore the neighbouring town of Auroville where lots of community developments are under way, another idea that orginated from the ashram. There is no dearth of temples in TN. Every street and by-lane will house some temple. Even Vivekananda has a connection with temples in TN. Madurai is known as city of temples. The place also boasts of spiritual leaders like Ramana Maharshi and Sri Aurobindo (who settled in Pondicherry). Dear AVI compats (you still remember this virtual identity of yours...?) End of the last century we have been quite active. This new millenium starts rather silent on AVI compat side. Anyway I just want to share with you a rather informative blog. Author is an Indian gentleman who compiled IMHO a lot of leading edge articles and infos in regard to Sri Aurobindo, Integral Yoga and Evolutionary Spirituality. So maybe it's providing something interesting for you too. Then it was off to the Aurobindo Park Guest House. This is an amazing place to stay in…with dirt cheap rates and first-rate accommodation. A spanking clean, airy non-AC room for a 100 bucks a day (2 persons ka sharing). That’s it. Go on…rub your eyes real well. There’s no (artificially fawning - tip cadging) room service/telephone/intercom stuff…but out there, you really don’t need it. Situated at the end of the ‘sea-face’ (very reminiscent of the one at Worli), it is THE place to stay in. Slightly strict about timings – there is a 10.30 p.m. curfew. Considering that we crashed at 9.45 p.m., the time limit is not as draconian as it seems. Also, smoking, drinking and drugs - not allowed in the rooms. Lots of other options available, averaging from 200-500 bucks/day. Finding acco can be a slight pain on weekends. Lotsa places near the bus stand, but staying in the French part is a lot more fun. It was then time to take in the sights. One side of Pondicherry (near the bus stand and main market) is STRAIGHT out of Tamil Nadu. The crowds, the bustle, the noise, the markets. Cross one small road, and then the French Quarter begins. A totally different world – the bright yellow buildings, the sparse population, the sudden peace and quiet. We then went to the Aurobindo Samadhi. A wonderful, peaceful place, with a lot of fragrant flowers all around. The silence was divine here, broken only momentarily by some kid’s utterings - immediately shushed by their embarrassed parents. WHEN a scorpion bit Aurobindo he said, "Ah, a message from my Beloved." First of all, if you are wondering who Aurobindo is, he is a yogi master. And I just like what he said. It may be difficult, perhaps even frightening, but we must all learn to embrace it all. To take into our arms all that is, even if it may be painful or scary. We need to embrace all knowing that it is God speaking to us. We need to embrace without exception all that happens. Having lived in a concrete cosmopolitan jungle for most part of my life, any chance to escape from it was always welcome. So when I got the chance to visit Pondicherry, a charming town set on the coast of the Bay of Bengal, India, I was in seventh heaven. Pondy, is a quaint little town dotted with majestic white French buildings – a heritage of the colonial masters who took over in the 17th century and ruled for more than 280 years. Even today, you find a number of locals conversing fluently in French, apart from the permanent French residents. It’s an ideal place to unwind, to recharge your body and soul. Pondicherry is famous for its Aurobindo Ashram established in memory of Sri Aurobindo, the great seer, poet and prophet of the twentieth century, who made Pondicherry his home from 1910 till his death in 1950. Even today the ashram attracts visitors from across the globe. Auroville, located 10 kms north of Pondicherry town, is envisioned as a Universal Town. This was built by a Paris-born painter and musician, fondly known as ‘The Mother’, who was Sri Aurobindo's disciple and close companion. Here you find people from different countries, faiths and beliefs, living in peace and harmony. For me, this was an ideal retreat. With its comforting atmosphere of fragrant flowers and attractive foliage, it is easy to melt in the surroundings. A surreal energy and calm seeps through you in such idyllic environs. Sitting on the verandah of the Ashram, ensconced in this cozy ambience, I felt filled, contented and totally at peace. I felt as if I’d just taken a leisurely bath – so overpowering was the feeling of comfort I felt. Strangely, the Ashram was a place visited by hundreds of tourists. Even while sitting on the verandah, I could see groups of people walking about, placing flowers at the resting place of the Sri Aurobindo and genuflecting. Despite such activities, there was utter quiet and peace. It was amazing. Even today, whenever I feel stressed out, totally bogged down by the demands of everyday living, I slip down memory lane and find myself in the same verandah. I can almost feel the caress of sunlight streaming through the trees, the magical fragrance wafting from the incense sticks mingling with the sweet scent of flowers, and the tranquility embracing the soul. And of course, strolling along the rocky coastline that stretches for more than 32 miles is another exhilarating experience. Pondy has some of the finest beaches and coastlines of India. The sheer pleasure of sitting on the wide expanse of sand, overlooking the emerald waters with tiny fishing boats bobbing over the waves – these are memories I still cherish. And in all fairness, I'm being a little silly here, poking fun at the North American spiritual racket. Obviously people are doing wonderful things, and I have learned incredibly from the persons who are the symbols of my cliche spiritual master types. I'm mean at least they tried to do something. At least they were willing to embrace--however pathologically--the brutality of translation, the density of this created construct. I want to have a wife and kids. You can't have a stable family scenario and really zone outward--ask Aurobindo for proof of that one. How am I supposed to have dinner with my family, do all the ridiculous social games we are supposd to play, put on the happy face and not actually deal with emotions, growth, and life, just sorta act like we do--and then BAM, turn on the juice. Thus have Indians come to surrender to this new and worse monster all sense of initiative, all courage to protest, their proverbial tolerance stretched to the extreme, their no less proverbial lethargy remaining their sole refuge. Thus have the many “good, honest, capable, cultured people” whom I mentioned at the beginning come to shun Indian politics as the dirty field it has indeed become, a “goonda-raj” in Sri Aurobindo’s words of 1935. “Our victory is certain” —K.S. Sudarshan: Speaking at the concluding ceremony, the RSS Sarsanghachalak Shri K.S. Sudarshan infused confidence into the shivirarthis that Bharat would shine all over the world by the year 2011, as has been predicted by great Indian saints like Sri Aurobindo and Swami Vivekananda. AUROVILLE exists on the southeastern coast of india, an experiment in living based on the teachings of scholar, radical nationalist and integral yoga guru, sri aurobindo, and realized by his spiritual partner, known to the universe simply as "the mother." built around a sacred banyan tree, the township takes its shape as a spiral galaxy. in its nucleus, a giant golden geodesic dome--called the MATRIMANDIR--houses a meditation chamber which holds the world's largest manufactured crystal orb. thousands of people visit AUROVILLE daily to catch a glimpse of this orb. fewer get the chance to meditate in its presence. AUROVILLE will be performed by seth kirby (electronic drones) and nick hallett (chanting). there will be a mylar installation by I LOVE YOU (seth and the vivacious ana matronic, who plans to plot our stage on the golden mean and will perform a multimedia presentation in powerpoint) and MIGHTY ROBOT will be there as always with their incredible psychedelic projections... here are the details: HARKNESS A/V SALON at SECRET PROJECT ROBOT presents AUROVILLE immersive music and visual environment by nick hallett and seth kirby documenting the experiment in human unity and spirituality existing in india since 1968 (first nyc performance, world debut: yale school of art '04). Vedic creationism in America by MEERA NANDA: Vedic creationists claim to derive this picture from the "Vedas", in which they include the Puranas as well, especially the Bhagvat Purana. Here it must be added that theories of spiritual or "integral" evolution have been proposed before, notably by Sri Aurobindo and Madame Blavatsky, the founder of theosophy. But the Hare Krishnas are the first to support their theory with "scientific" data - if data from psychics and UFO sightings can be called scientific. Where that dark wanderer roams! Where shall I find him, joy in his sweet kisses? How shall I hope my love’s feet to embrace? Without the one loved face. Krishna who has nor home nor kindred misses. Ms Leena Jineshwari Presenter/Mentor & Trainer for-Gravito-theraputics & vitality enhancement passes and gestures of NEO-YOGAH theory & practices. Sri Srikant Pragyasheersh Presenter/Mentor & Trainer for- spiritual & health-enhancing pronunciation, repetition & rehearse of Vedic Mantra Viniyogah. Sri Manoj Kalpasheersh Spiritual rejuvenation through the psycho-spiritual of Navdurga concept. One thing I've been thinking of is failure. Falling down, missing the mark, losing touch, cooling in fervor, drifting aimlessly on the open sea. This is something I and others sometimes speak of with regret and impatience, wanting to stay "on track" and not lose focus. But falling down is simply part of the process of learning to balance. Sri Aurobindo said it this way:"The spiritual journey is one of continually falling on your face, getting up, brushing yourself off, looking sheepishly at God and taking another step". On Falling 11 comments Published January 11, 2006 by Twyla. Je deviens ce que je vois en moi même. Tout ce que la pensée me suggère, je peux le faire, tout ce que la pensée me révèle, je peux le devenir. Telle devrait être l’inébranlable foi de l’homme en lui-même, car Dieu habite en lui. the first Integral (and eastern) guy, with the mod western guy. In me all take refuge, for I, Death, am God. But who can show to thee Truth’s glorious face? A very wonderful blogging friend has said somethings lately that have made me rethink how I am presenting myself and what is coming out of this blog, so with that small side note, I want to return to a more positive frame of mind and will do so through a look at some of the great minds that have influenced me in this lifetime. The First and may be foremost, is Sri Aurobindo: He wrote one, if not 'The' favorite of all my poems,, which is really a book within a beautifully told story from the Mahabharata,, another of my favorite sacred books. Sri Aurobindo, was born in Calcutta India on August 15, 1872. He was active in the politics of the day and helped to form the Swadeshi, which was a movement geared towards the future independence of India, he was an active leader in the formation of parties that stressed the need for independance from colonial rule of England. After being arrested and incarcirated for his activities he worked almost alone trying to revive the Nationalist movement of the day. His Spiritual path lead him to forsake politics, he was asked to head the Presidency of the National Congress, and politely refused, then went into spiritual seclusion. For almost four years he practised silent yoga and developed his inner being. With his retirement to Pondicherry in French India, he developed a following that soon became the Sri Aurobindo Ashram. He wrote many wonderful things during these years, ranging from works related to the Vedas, Human Unity and Amias you will love this,,, The Future of Poetry..... which brings me to what is touching my heart right now at this moment. I am rereading this wonderful work that was a product of his life time, and The Mother said:"Savitri is a Mantra for the transformationof the world"
At Saturday, October 08, 2005 2:05:17 PM, ms.squiggle said... I especially love this:A specious Idol fills the marvel shrine.The great Illusion wraps him in its veils,The soul's deep intimations come in vain,In vain is the unending line of seers,The sages ponder in unsubstantial light,The poets lend their voice to outward dreams,A homeless fire inspires the prophet tongues.I take that as meaning the idol is simply our egoic projections. What we see ugly in Bush (or anyone) is every bit as much of an inner struggle as it is an outer one. No use pointing the finger "out there" to cast blame because "out there" is an illusion created by our minds - the idol we have created which keeps us from recognizing who it is we are - what keeps the Goddess caught in a net of transience.Only a little lifted is Mind's screen;Beautiful poem. I'd never read it beore. Thank you! At Saturday, October 08, 2005 2:12:06 PM, Scott said... Beautiful Comments Ms.Squiggle very much appreciated, "out there" is a self created illusion. thanks for your insights. South India might as well be a separate country, it looks like a picture in an island-getaway brochure. North India, by way of contrast, looks like a picture that nobody trying to sell you anything would ever put in any brochure. From Calcutta I landed in Pondicherry, an old french colony with a definate French-Catholic flair. The Sacred Heart of Jesus is popular here. Adding to the mix, Pondicherry is also the spiritual home of Sri Aurobindo, a mystical Indian poet. I found a book of his poetry in the local bookstore and it was all pretty abstruse and elliptical; admittedly more appealing than the "God is Peace, Rama Dhamma Ding Dong" I was expecting. Sri Aurobindo had his visions but the Aurobindo Ashram, as well as a village outside of town called Auroville, was set up by his partner, a French lady named "the Mother" (lowercase tee, capital em) who by the extant photographic evidence looked decrepit and terrifying. The exact nature of the relationship between these two still eludes me. There is something sinister about the whole Aurobindo operation, but I can't pin it down. Last night I went to an Aurobindo-sponsored dance-drama performance. This involved getting a special Aurobindo stamp from my hotel (because apparently my hotel, along with half of Pondicherry, is in on this whole scheme as well) and then going to the place marked "playground" on my special Aurobindo map, which was not actually a playground at all but an unmarked building in the center of town. There are a lot of unmarked buildings in town, and I get the feeling the Ashram owns most of them. The dance-drama depicted the struggle of good against evil, love against hatred, knowledge against ignorance. To be honest, there wasn't a lot of drama, nor a lot of what I would call dance. But there was plenty of intensity and abstruse voice-overs. The good guys won in the end. I was satisfied.Posted by Steve Hackbarth on 12/2/04; 5:59:30 PM from the dept. On my one trip to India, I spent a couple of weeks at Pondicherry, with some days at Auroville. Aurobindo is the originator or Integral Yoga, and one of his main disciples Haridas Chaudhuri (I think a disciple) a founder of California Institute of Integral Studies. So Aurobindo is really one of the first go-to "integral" guys - definitely before Ken Wilber. 'Indians lack a sense of history, was the common refrain among the speakers at the book release function of Claude Arpi's latest work, India and her neighbourhood - a French observer's view' at India International Centre on Thursday. Mr Arpi who is inspired by the teachings of Sri Aurobindo said: "I came to India as I was attracted by the teachings of the sage. He was one of the first to talk about poorna swaraj. He was a revolutionary, who had a vision of a free and united India." Aurobindo gave India's spiritual gift to the world in the form of ayurveda and yoga. This spirituality is slowly entering Europe and America, hence his dream is slowly taking shape. The seaside town of Pondicherry has a special blend of French colonial heritage, Tamil culture and spirituality not found anywhere else in India. Situated on the Coromandel coast, about 160 km south of Chennai, lovingly called Pondy traces its origin to Saint Agasthya, the revered sage of the south. In the French part of the city youll see colonial homes while the in the Tamil quarter of the city the streets are lined by verandahs and extended porches. PONDICHERRY: Bamboo stalks in Auroville, Pondicherry, gently sway to the music that wafts through the French windows of the old house in the middle of a lotus pond. The trill of the breeze slicing through the foliage and the chirp of a lonely squirrel under the banyan tree merge with the classical euphony of the stringed instrument. Nadaka is at work. You don't expect Nadaka to be a foreigner with a golden mane, playing the guitar. Looks apart, he is no longer a foreigner. And his musical instrument is not just a guitar. With a scalloped neck and mobile frets, his instrument catches the nuances of a guitar, a veena and everything in between. The man has been in search of the nuances of life. A Canadian by birth, this 46-year-old embraced Indian music and philosophy in 1974. That was when, at the age of 16, he listened to the "inner-call" and set off on the "journey of his life". Born into a well-off family, the teenager was attracted to western classical music. At the age of 13, he played with a small-time band. Realising that he was "not learning much at school", he started reading Buddhism at the age of 11. At 15, he discovered Sri Aurobindo. It was time to leave. "With a few books, a loaf of bread and a guitar in hand, I left my home, land and even my name," he says. "I knew I had to go to Aurobindo Ashram in Pondicherry, but didn't know how". Hopping on to a ship and hitch hiking, he reached Italy and then Yugoslavia, Bulgaria, Turkey, Iran and Afghanistan. He was stopped at some borders; elsewhere, he was given food. "I didn't think of borders. I don't know how I crossed them," he says. Once in India, he slept at the Golden Temple and walked down to Chennai. He named himself 'Nadaka', which means "the carrier of sound". ("Don't ask me my previous name. That is dead."). He arrived at the Aurobindo Ashram sometime in 1975. For six years, Nadaka travelled all over Tamil Nadu, learning mrudangam, veena and Carnatic vocal. He was greatly influenced by Balamuralikrishna. "At first, people looked at me as a western guitarist, while I wanted to learn more of Indian music," he says. Practising with such stalwarts as Vikku Vinayagram, Sivamani, Ganesh and Kumaresh, Nadaka evolved his own style and, to get the right notes of a veena, he improvised his guitar. After years of struggle, Nadaka got a break when Govind Nihalini asked him to play guitar for an AR Rahman composition for Khamosh Raat. Nadaka has to his credit, such albums as Straight to Your Heart, Celebration, Lotus Trilogy and Living Colours. Not one to define his genre of music, Nadaka is working on a solo guitar album named Natural Impressions. 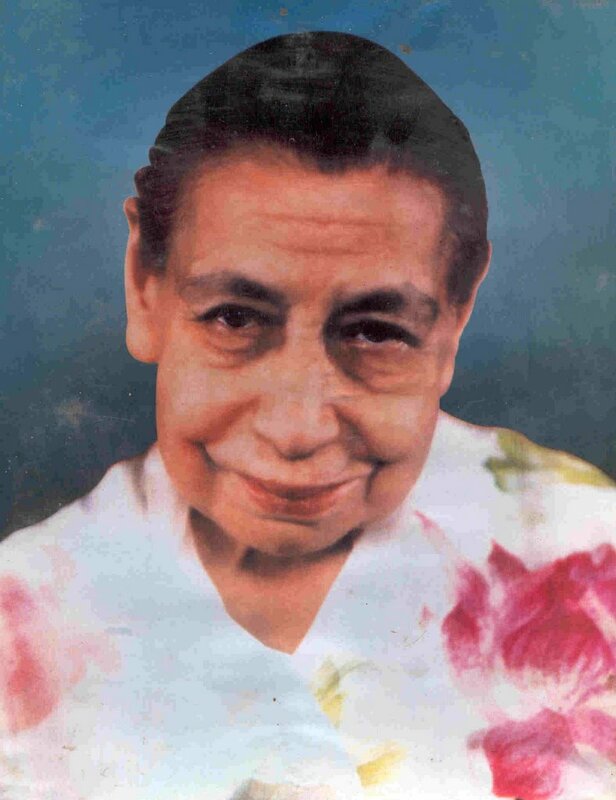 It was on 24 November, 1926, at Pondicherry, in the place of present Sri Aurobindo Ashram,The Mother saw Sri Aurobindo emerge from his room in the evening. She knew immediately that something important has happened in the History of the Earth and Universe. She sent words to all the Sadhaks and asked them to assemble in the upper verandah of the Library House. By six, all were there, all twenty four, including Champaklal, Nolini, Amrita, Pavitra, Barin, Purani, Datta, Pujalal, Rajangam and Chandrasekharam. "The Lord has descended into the physical today"
Some of my thoughts on Hindutva, about the ideology and basis for it. If one observes the Indian life closely, one thing which becomes immediately apparent is that religion is the one and sole interest of the people of India. For good or bad, religion pervades almost every sphere of life in India. People eat religiously, talk religiously, walk religiously and even rob religiously. Even if a robber in India has to find some followers, he has to explain the art of robbery as one of the 64 spiritual arts. We will not go into details whether such interpretations and manipulations are correct or not, nor shall we go into pros and cons of it. The point to be understood is that vitality of the Indian life lies in religion, you touch them there and they respond. Whenever Indians came together and fought, it was under the banner of religion. It is this issue of deep intermingling of religion and life that the thinkers trying to revive the weakened Indian were faced with. The reactionaries and communists reacted by rejecting the whole of its religion and culture. They thus tried to transplant the whole tree of national life whose roots are deep inside religion to another place. The other group like Vivekananda, Aurobindo saw the potential of religion. They realized that one can work only under the law of least resistance, and that religious line is the line of least resistance in India. “Thou who hast come to this unhappy and transient world, Love and turn to me…”(“Anithyam asUkam lOkam imAm, prapya bhajasva mAm” : Sri Aurobindo quotes this line as an example of poetry of the illumined mind) by ‘turning’ on to the serene face of the Perumal in his Ananda Sayanam or lost in the mystic silence of the Shiva Lingam. Kavi Yogi Maharshi Shuddhanadha Bharati born on 11th May 1897 was a Divine Poet, a Great Yogi and a freedom fighter. As a boy of eight years, the Divine Force called upon him to serve the nation while he embraced the Holy Feet of Sri Meenakshi Amman, in the temple at Madurai, Tamil Nadu. In the wake of that Grace, he made his life-long spiritual pilgrimage with song-thrills, acquiring wisdom through meditation and association with Great men of his times. A mysterious saint in the Himalayas Gnana Siddha initiated him in Mahaturya Samadhi, the highest plane in spiritual development. During those days, 'Vignana Chandrika Mandal' was popular among the public. Komarraju Venkata Laxmana Rao was its chief editor. They were selling historic novels, biographies and other books of a hundred pages for a quarter of a rupee. Pantulu assisted this agency for its development. He also established 'Saraswathi Niketanam' to publish a number of philosophical books. 'Poornayoga' and 'Dharma' by Sri Aurobindo, the saint of Pondicherry, were translated into Telugu and published. Avanindra Tagore's 'Bharata Silpa' and the Noble laureate Ravindranath Tagore's 'Upanyasa Manjari' were among its important publications. "Our actual enemy is not any force exterior to ourselves, but our own crying weaknesses, our cowardice, our selfishness, our hypocrisy, our purblind sentimentalism." It is not a matter of concern to me that he is misinformed about Krishna, for there is no derth of spiritual illiterate and mentally bankrupt people who consider themselves enlightened and above the laws of human decency, but what is concerning and alarming is that he is misleading the devout christians across the world about Krishna. Perhaps the rev. Bishop would care to educate himself on the true meaning of Krishna by visiting a few websites and read a book or two. “Foundations of Indian Culture” and “Essays on the Gita”, both by Sri Aurobindo, will do good to him.Unfortunately, his venom is targeting none else than Christ himself. Swami Prabhupada had said,” Krishna or Christ – the name is the same”. Hindus believe that Jesus, like Lord Krishna, is an avatar of the Divine who came down to show humanity in the righteous way of life. Paramhans Yoganand and Ramkrishna Paramhans have deitified Christ. Christmas is celebrated in Sri Aurobindo Ashram in Pondicherry as the day of the descent of Christ, the Avatar. Hindu gurus are all vulnerable in today's India: The Kanchi Shankaracharya has already been hit. So has Satya Sai Baba. Amritanandamayi has to live under the constant shadow of a hostile Kerala Communist-dominated government. Dhirendra Brahmachari is dead and Sri Sri Ravi Shankar is periodically targeted as the 'Guru of the rich', the 'Glib Godman' etc. You can even go back to Sri Aurobindo, who was accused in the early 1900s by the moderate Congress-controlled press to be a 'fanatic', when he was only demanding total independence from the British long before Gandhi took it up. We are witnessing an interesting phenomenon in India today. Some Communists, some Christians, some Muslims and some Congress leaders -- all of whom have nothing in common and often hate each other are united against Hinduism and Hindu leaders. The greatest curse of Hinduism throughout the ages has been its disunity -- and more than that -- its betraying each other. I know there is something mysterious and unfathomable in the manifestation of the Divine upon earth, and that each guru has a defined task to fulfill and that the combined task of all the gurus may solve the great puzzle that is this ignorant and suffering earth.